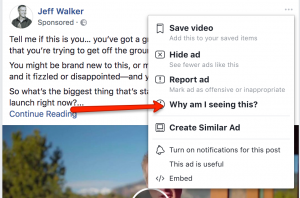 Have you ever wondered why you seem to get random ads on Facebook in your newsfeed? You’re not alone. We all do. I get completely irrelevant adverts. Like catfood ads. (I have a dog.) Or pregnancy tests from Clearblue…. Buried deep inside the Facebook algorithm, are the interests Facebook think you have. Want to see them? Click on the three dots on the top right of the ad. 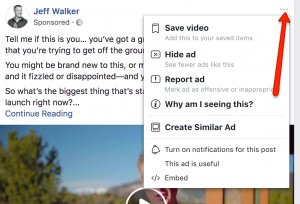 Then choose ‘why am I seeing this?’ You’ll then be shown the details of how you have been targeted by the advertiser. Then click on the little cog with ‘manage your ad preferences’. Spas as an interest? Nope. Cats? Not a chance. In my preferences, Facebook have got it wrong far more than they have got it right. I have around 356 interests that Facebook have identified on my behalf. Every now and again, I dip into my ad preferences, and marvel at how wrong Facebook can get it. Well in Facebook’s defence, they could think I was interested in cats because I once tagged my niece (a cat lover) in a funny cat clip. Does this mean I like football, that it’s an interest of mine? No. But if you’re a Facebook advertiser trying to promote something cat-related, I will be in your target group, based on the interests Facebook say I have. And therefore your ad spend would be wasted on me. The answer as to why we getting these adverts in our newsfeed is simple. Facebook has got it wrong. Because if you are using Facebook ads as an independent estate agent, you are probably doing it wrong. And here’s why. 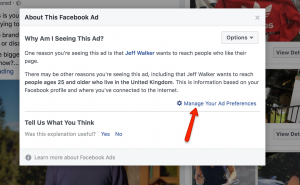 When you set up an advert inside Facebook, how do you target your audience? I’m guessing you added interest into your targeting, didn’t you? Ok, here’s what you need to know. I was with a client recently, checking out their Facebook ads. They had been running a campaign that had been set up for them by a social media agency. My client was pleased he was getting some engagement, but disappointed that the engagement was not turning into actual leads and enquiries. So we took a look. The advert had been targeted by age, geographic location, and interests. You may not know that Facebook requires an audience of at least 30,000 for its algorithm to do its thing. Only with an audience of 30,000 will you actually get any real traction on your ad spend. Less than this, and your Facebook ad just will not perform properly. This social media agency had created an advert based on age and location, but had then gone to add interests into the audience. This had the effect of reducing the audience so much that it was too tiny for Facebook to work. To combat this problem, they had simply widened the geographic area to such an extent that 95% of any leads would’ve been completely irrelevant. My client’s geographic area is about 10 miles across, at most. Therefore, the maximum area that should’ve been targeted in the ad, is probably around 15 miles across, to account for some movement in the area. Of course there is an argument that says if you target a wider geographical area you may catch people who don’t actually live within it, and that is certainly true of landlords. But this was for a ValPal ad, and going narrow would be what I would recommend. This huge geographic area gave them the audience size they needed for the ad to run, but at what cost to my client? The interests that they had placed in the targeting of the ad where numerous: Rightmove, Zoopla, homeownership, real estate, and half a dozen more. And doing this had really strangled the reach of the advert. Try this for yourself with your target area. Go into the Ads Manager and click ‘create an ad’. Choose ‘traffic’ and rename it ‘test’. Then in the ‘Ad Set’ section, put in your town as the target area, plus a radius. 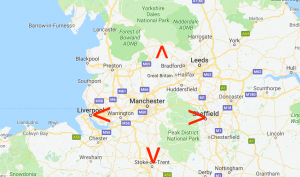 If I do this and put in Ambleside, which is the centre of our geographical area, plus say 10 miles, and an age range of 30 to 60, I get around 39,000 people. That’s 39,000 people in the area that I’ve specified in the age range I’ve chosen, who are on Facebook. Now let’s put in one interest. Rightmove. This brings my target audience down to less than 1000. And I get a warning from Facebook that my ad is too defined. They just won’t show it. 2. Facebook don’t really know your interests, and therefore they are likely to get those of your target audience wrong too. You could put Rightmove into your interest targeting, and Facebook will show your ad to a person with zero interest in Rightmove, houses, or moving home. Now of course, if you don’t put any interest targeting in at all, you run the same risk. But you run it with a much larger audience. My answer? Run a ‘dog whistle’ advert. This is an advert that simply calls out in in the advert text the person you want to click on your ad. This is called a ‘dog whistle’ advert because as with a whistle that only dogs can hear, an advert that just calls out one specific type of person, will only be clicked on by that person. That’s the theory. Of course, you will get random clicks, but that’s going to happen whatever interest targeting you put in your advert set. 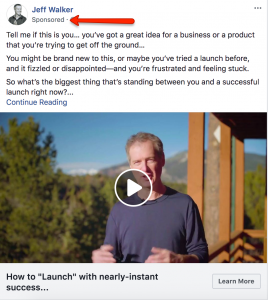 If you’re confused about Facebook ads, perhaps yours aren’t working, or you’re not using them at all, would you like me to have a look at them for you? 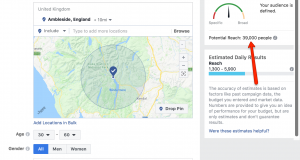 I’ve spent tens of thousands of pounds on Facebook ads over the years, and whilst using Facebook ads as an independent estate agent is never going to be easy or cheap, I may be able to give you some tweaks and tips to get yours working better. Send me a quick email or pm me on Facebook, and let’s talk. And in the meantime, go have a look at your Facebook ad preferences, and take a screenshot of them. I’d love to see them. Next post A day in the life of a social savvy estate agent.